If you’re an avid traveler and often searching for cheapest airfare just like me, you’re going to love something that I am going to talk about. Now, planning a trip, the problem you will almost always encounter is how and when to get a cheap airfare. If you’re travelling to a destination that is only serviced by one airline then there’s no problem, you basically have no choice. What the airline offered, you will just have to accept. But if you’re travelling to a destination that is serviced by a few airlines, it’s going to be a headache especially to those who are very price-conscious like me. Previously, painstakingly, I went to an airline website, selected my destination, date of travel and wait for the airline to list down it’s prices offered and then after that, I would go to the other competing airline websites and repeat the same effort to get their pricing for comparison. If i’m in bad luck, the cheapest airfare may have being snapped up before I decided to purchase it. You know how frustrating it is if you went through above like I did. Google Flights appears to have solved my above trouble. 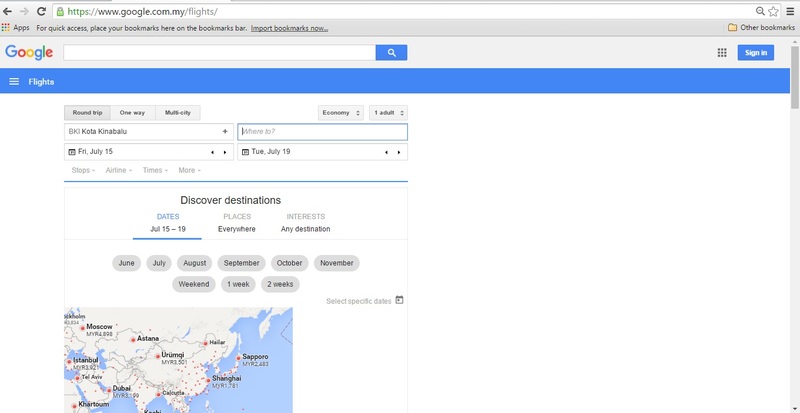 If you ever booked your hotel through Agoda.com or Booking.com, Google Flights operate similarly. What it is capable of doing is searching the cheapest airfare on offer from airlines around the world and list them down for you. You only need to enter your travelling details once. Once you have decided on your choice, you can head directly to that particular airline website and make your purchase straight away. This is how Google Flights looks like. Neat and tidy. You only need to input your destination and date of travel and it will do the rest for you. The complete link is at https://www.google.com.my/flights/. 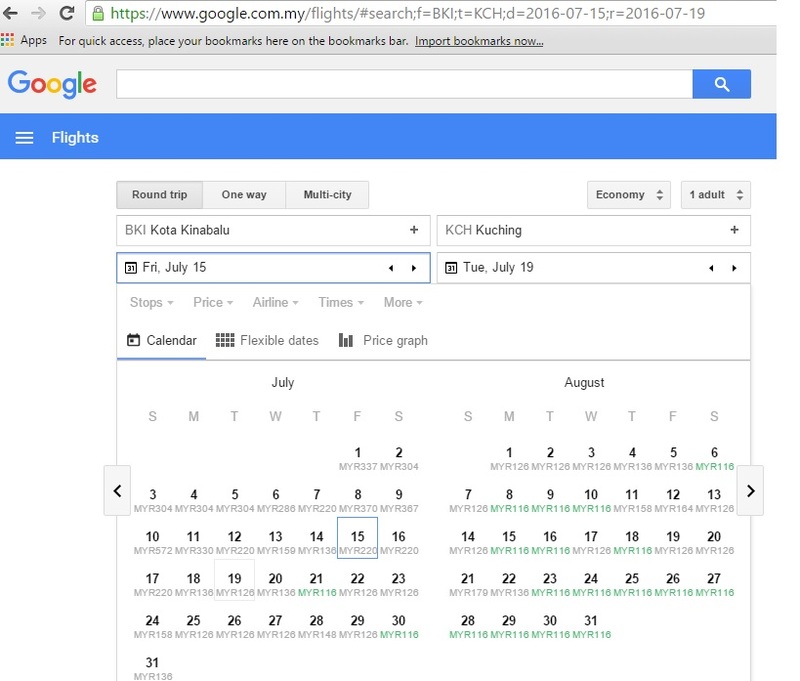 In this example, say I’m travelling from Kota Kinabalu to Kuching on 15 July 2016 and return on 19 July 2016, it will list down all available flight with corresponding airfare for your selection. In this case, flight time is not an issue so i’m going to select Malaysia Airline with the cheapest airfare of MYR159 return. Once done with outbound and return flight, an option will be available at the bottom of the page, asking you to proceed make booking with available booking agents. In this case, i’ve selected to book with Malaysia Airlines. The link will bring me straight to Malaysia Airline booking page for input of travelers’ details and make payment. Not only Google Flights is capable of listing down the best price available, it is also capable of showing you the cheapest airfare available on the range of dates you have selected so you do not have to search for cheapest air fare by trial and error. 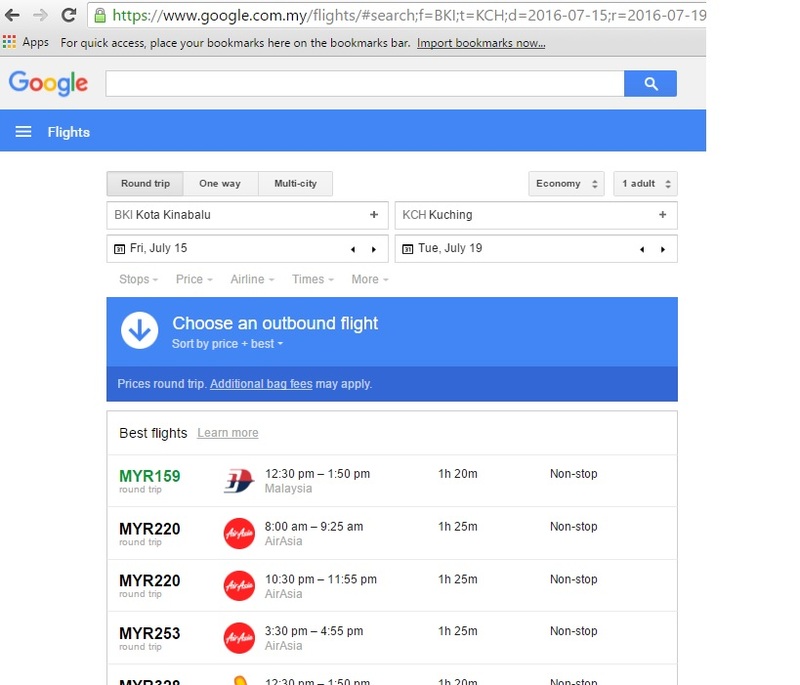 For an example, you are planning a trip in July 2016 but cannot determine which date has the cheapest airfare from the airlines, Google Flights is able to list down all available cheap airfare based on the range of dates you have selected and you can choose which date has the cheapest airfare for you to fly. Google Flights is able to list down all the available cheap airfare on your selected date of travel. This example shows cheapest airfare colored in green. You may opt for graph presentation to look for cheapest airfare on your selected date range. Another capability Google Flights has is to find connecting flights/airlines for you in case your destination cannot be served by one airline. 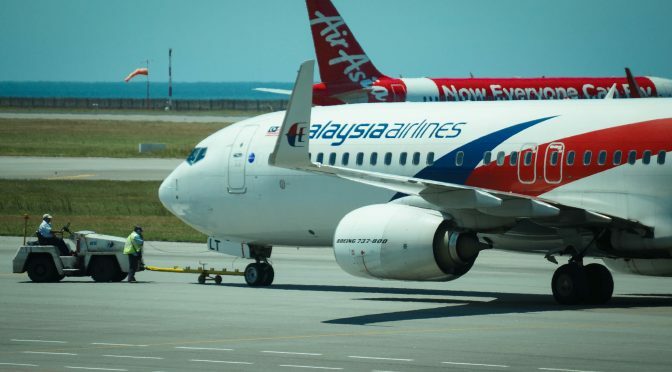 For an example, based in Kota Kinabalu and you are planning a flight to New York but for the time being, there is no direct flight from Kota Kinabalu to New York. 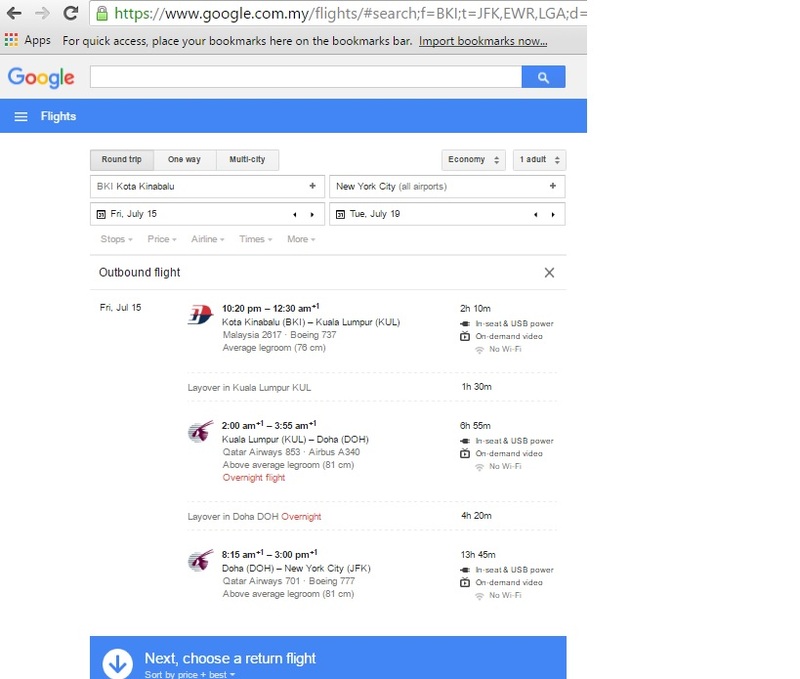 Previously, a travel agent would have to be consulted for such journey but with Google Flights, you only need to input your destination and it will show you the cheapest to the most expensive airfare complete with combination of connecting airlines from Kota Kinabalu to New York. This is an example of flight from Kota Kinabalu to New York that involves Malaysia Airlines and Qatar Airways with transit in Kuala Lumpur and Doha. After several usage, personally I find this website very useful for my flight planning. The main benefit is the saving of time hunting for cheap airfare. 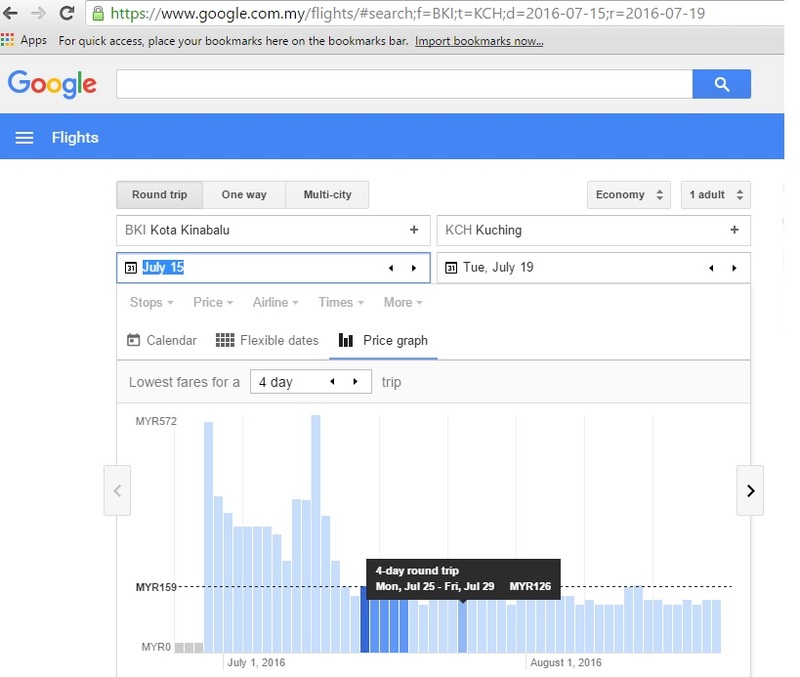 However, I also noticed that some prices displayed in Google Flights may/may not include miscellaneous taxes (particularly flight involving Malaysia Airlines) so final airfare offer maybe slightly higher than expected. 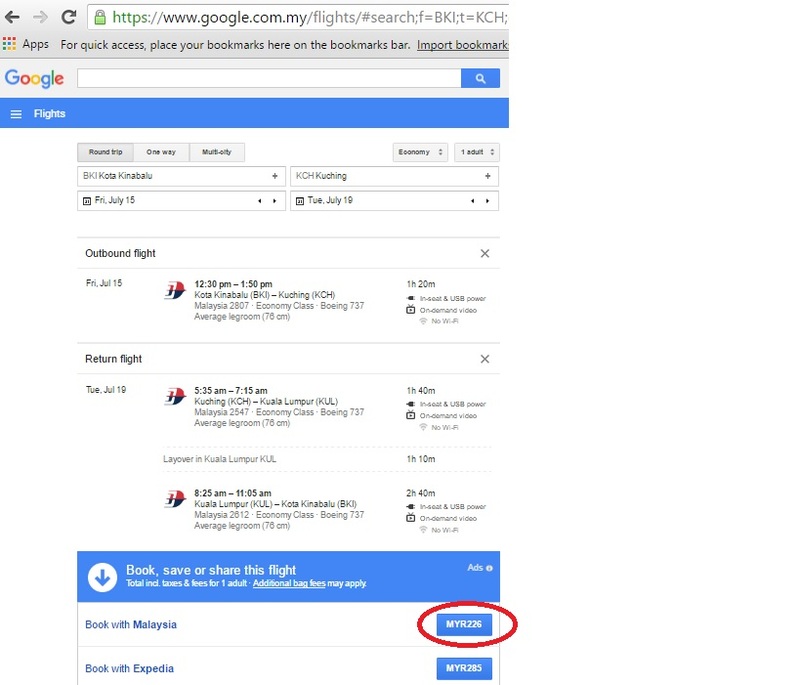 Oh by the way, this is purely a sincere tip sharing on travel by me and I gain nothing from Google or Google Flights. So, let me know what do you think about Google Flights? Please leave your comment below. Happy ‘googling’ your cheap airfare!